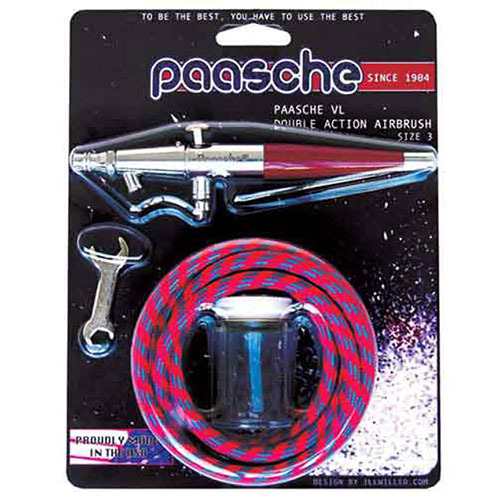 Used by most of the t-shirt artists in the U.S., this model can achieve spray patterns from fine detail to broader coverage, while handling light, medium and heavy fluids. 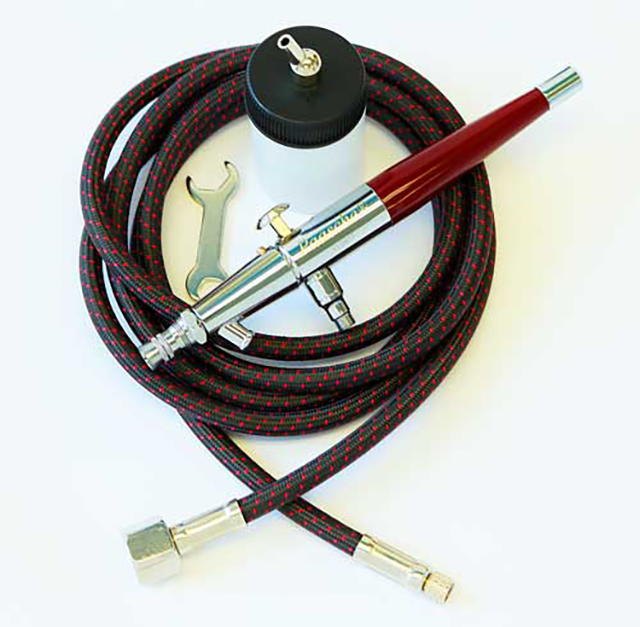 No other airbrush can offer more versatility. 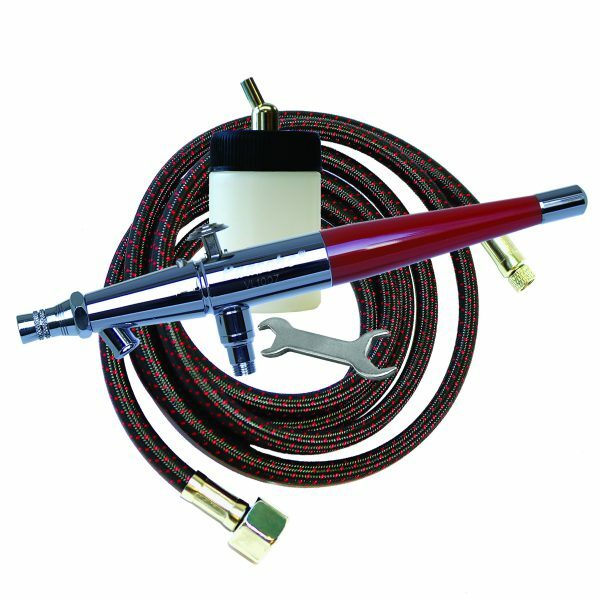 The VL-CARD set is an easy and fun way to start airbrushing with many essential airbrush items. It is designed for the beginning hobbyist. Suitable for both left and right-handed users. The VL has a tapered socket for securing a bottle or a cup.